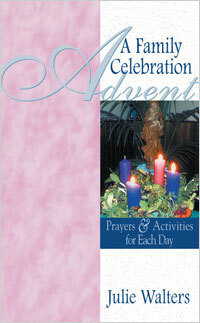 Advent is the perfect season to begin praying as a family! Its wealth of traditions, such as the Advent wreath, the Advent calendar, and the Jesse tree, can be the perfect focal point for prayer. Advent: A Family Celebration will delight both children and adults with its ability to relate Scripture and prayer to real life events. Each day's meditation, designed to be said after the lighting of the Advent wreath, features a Scripture passage based on the Mass readings. A reflection and prayer then relates the Bible passage to a story or event. Prayers for all three Sunday cycles are also included. In addition, the book includes special Scripture passages and prayers to say each day while decorating the Jesse tree. In the frenzy of the busy shopping season, family prayer during Advent keeps the reason for Christmas ever before us and our children.